Beginning in 2018, UNO Libraries' Archives and Special Collections is sharing over 200 interviews conducted from 1974 to the present as part of the new project Omaha Stories: Oral Histories of Omaha, Nebraska. The audio and video recordings of conversations with people from Omaha will be available online alongside interview descriptions. Follow our posts here for updates from Archives & Special Collections on Omaha Stories. Do You Know This Interviewee? Is This You? LGBTQ+ Voices: The Queer Omaha Archives Oral History Project will collect oral history interviews from members of the greater Omaha LGBTQ+ communities. 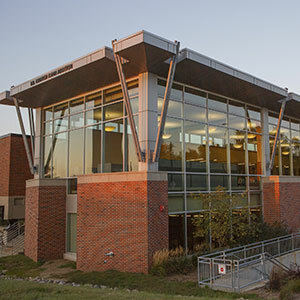 The project of the UNO Libraries' Archives and Special Collections will share wide-ranging experiences with Nebraskans and the world through the University of Nebraska at Omaha’s Queer Omaha Archives website. Follow along here for updates in 2017-2018 from Archives and Special Collections staff. HN funds programs that explore Nebraska's heritage, build community awareness, and strengthen our ties to cultural traditions at home and abroad. The Nebraska Cultural Endowment is a public/private partnership that designates funds to HN for distribution.